Camping trip is amazing, but when it rains, we have to use some gear to cook a warm meal without fire in the tent. Sounds cool? Let’s go on for the flameless cook box. This is an innovative and functional outdoor flameless cooking system that consists of three parts including a plastic outer container measuring 18 x 12.5 x 7.5cm, a stainless steel bowl measuring 17 x 11.5 x 5.5cm and a locking lid with airtight silicone ring. 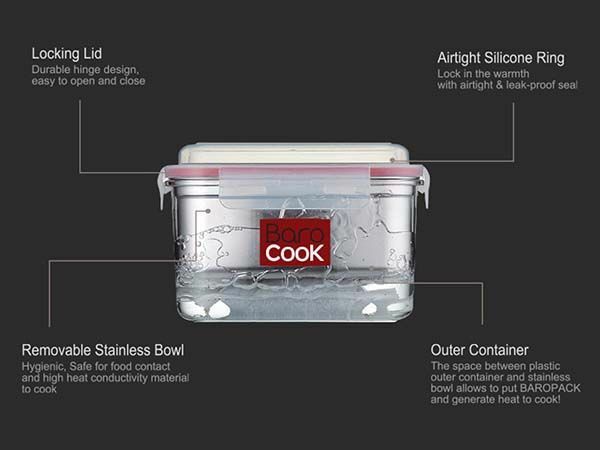 As we can see from the images, the flameless cook box set looks like a lunch box, but using its unique eco-friendly fuel pack made of natural minerals, the cook box delivers you a warm meal. When the fuel pack meets water, it heats up to 203 degrees Fahrenheit in 15 minutes, so just placing the pack in the space between the stainless steel bowl and the outer plastic container and putting your food in the bowl, you can use the steam heat to cook hot meal or beverage without needing dangerous fire or gas. 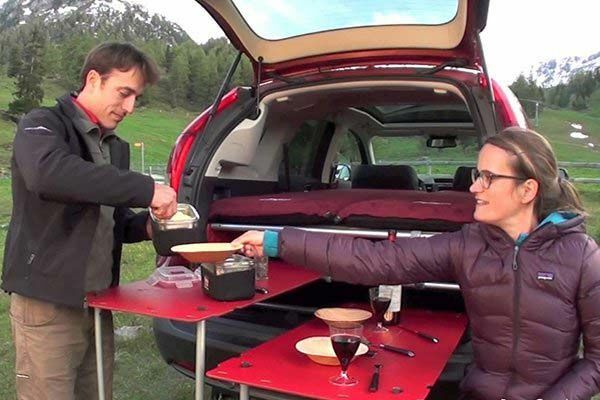 No doubt, it can bring you much convenience for outdoor cooking, especially on windy or rainy days. In addition, the outdoor cooking system also features an ultra compact design and it only weights approx 348g for portability, and you don’t have to carry weighted pans and gas bottle for a camping trip. The flameless cook box is priced at $26.91 USD. If you’re interested, jump to Amazon for its more details. BTW, also don’t miss BaseCamp stove and more cool stuff by following tags. Thank you for telling us the real source of the product. I have added its link in the post. It’s exactly not a new tech, but considering its functionality for outdoor activity, I posted it. I’m sorry for annoying you.